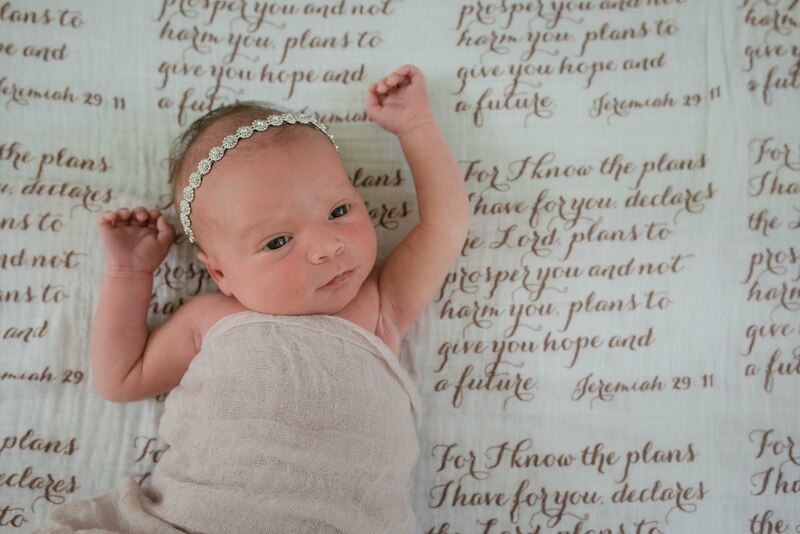 Sweet Charlotte is a little miracle and her story is one you don't want to miss! 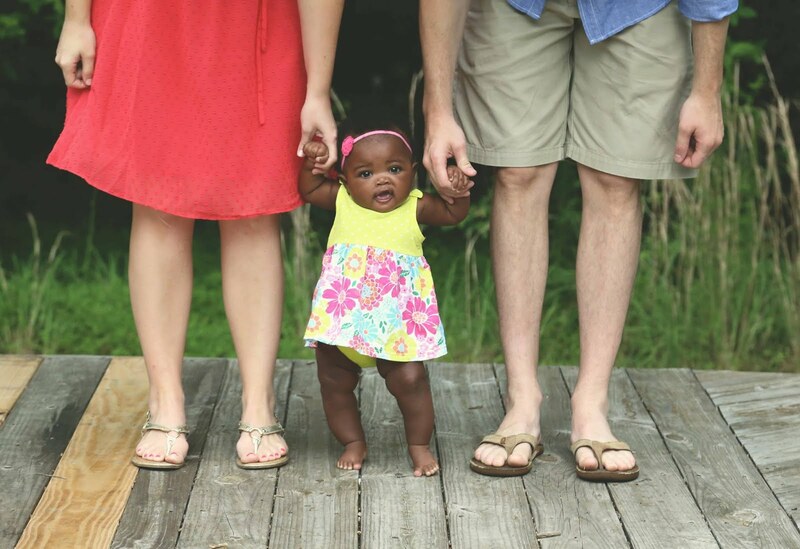 Just three short months after their home study was approved, Eric and Becky received the news that they were matched with an expectant mother. 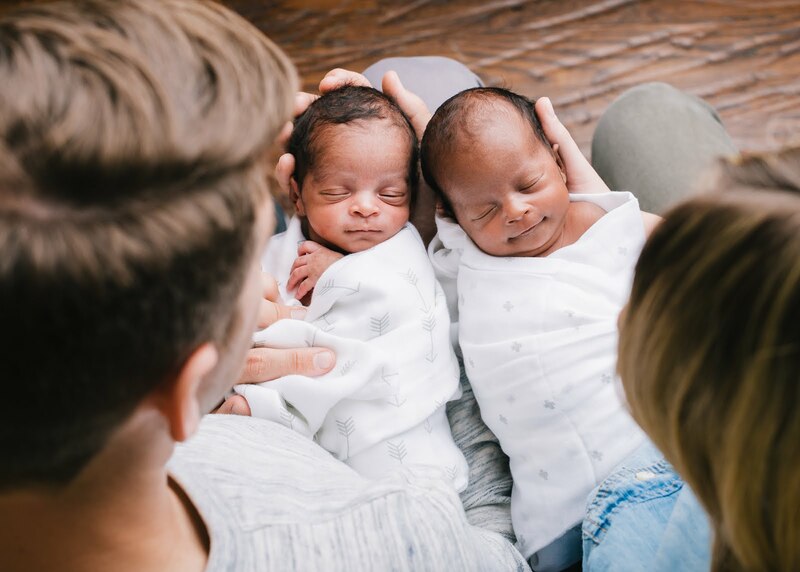 Over the next few months they would spend time getting to know their daughter's birthmom as they waited on the arrival of their precious baby girl. Becky shares more of their story below. We met our baby girl 24 hours after she was born, cried with each other when she was transferred to the NICU, and then a few hours later cried with her birth mom as she signed the papers allowing us to parent this little miracle. I can't even describe the conflict of emotions that we were all in at that stage - fear for the future weeks, excitement at having a new little girl, thankfulness for the dedication and determination of her birthmom to give life to this little one in spite of the struggles in her life, and hope in knowing that God always has a plan of redemption for his people. Over the next 3 weeks, Eric and I had the most faith building time in our years together, and God held us up over and over again. At one week, we found our baby girl had a major heart defect, likely to need surgery at 6 months of age, IF she would be able to continue to grow adequately up until that point. At 12 days, we sent our older children home several states away to continue in school. Even though we sent them with wonderful friends, and they were loved by family at home while we were away, there were tears in my eyes and questions in my heart as I waved goodbye to them at the airport, not knowing an exact date to tell them that we would be able to be together again as a family. And then, over the next few weeks, we watched as God healed the body of our brave little girl. We had to be set up with a Cardiologist before we could leave the NICU, because they were so concerned that she would fall ill before we would be able to get her in to be seen. When we went to the doctor at home she reiterated the seriousness of her defect and the need for surgery. We started Charlotte on Lasix, a medicine to keep the fluid from building up in her lungs and causing heart failure, and monthly shots of medicine to prevent her from getting sick. If she were to get ill, it could be very, very serious for her because of her weak heart. Then we went for her 2 month check up. Cue up the miracles! The doctor came in and checked her and was amazed that she was gaining weight normally! I will also just add that she excelled at it...we called her Chub-a-lub by this time! Then she sent us to repeat the ultrasound of the heart, and the technician was confused, because she had been told that this was a large defect, but she really had a hard time finding what they were talking about! And when the doctor checked the ultrasound, she confirmed it. God had miraculously healed the heart of our little girl! I was floored! We were able to stop medications and cancel surgery! As I look back at our journey, a couple things stand out to me. Going back to the beginning of the process when we were deciding what type of baby we would consider, we weren't looking to get any particular type of baby, but we also both work full time (I'm a Family doctor and Eric is a college professor). We had said that we didn't want any major health problems for the simple fact that we didn't feel we had the ability to deal with those complications, since we both work full time and have two other kiddos. But God had a bigger plan for us! So I would encourage those starting in the process to open your mind and heart and seriously pray to God about each situation. It never does end up being what you expect, for better or for worse. But when God joins families together, He does it to show His greatness and love, and He will provide whatever you need. Someone told me after we brought Charlotte home, "How wonderful for this little girl that you chose her! Where would she be without you!?!?" And my response was "God still has a plan for this little girl, whether we were here or not." But it reminds me of Esther 4:14 "If you remain silent at this time, relief and deliverance for [God's people] will arise from another place, but you and your family will perish. And who knows but that you have come to your royal position for such a time as this?" Now my family would not have perished without Charlotte, but WOW what we would have missed out on! And what an honor that God has brought us to a position to offer love and support to this particular birthmom and child. Christian Adoption Consultants was vital in facilitating this to happen, and I can't thank Leah enough for her prayer, support, and encouragement at each step of the way. My mind is boggled by the number of people that God sent to encourage us along this way, and Leah's work in preparing and prayer and support is truly priceless!